Virtual private networks could offer your start-up privacy and security. Learn more about how they can impact your business here. If you’re concerned about your online privacy while completing work tasks, or your start-up needs to share and download files securely, a Virtual Private Network (VPN) should be a key part of your business’ technology. A more common use of VPNs is to access streaming services internationally, such as Netflix or BBC iPlayer. 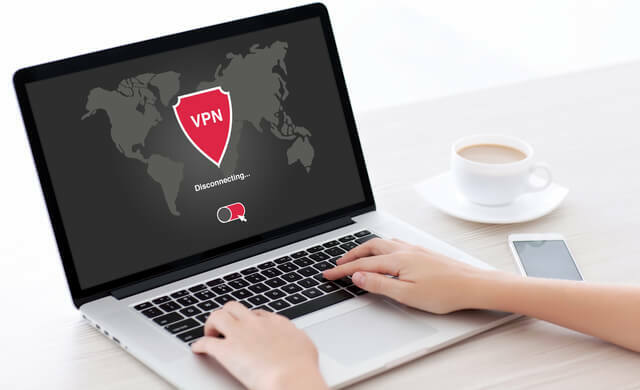 However, VPNs offer enhanced security and privacy that’s also essential for small businesses, such as protecting remote teams, securely sharing files and safely accessing public WiFi connections. In 2016, the Federation for Small Businesses (FSB) published a report entitled Cyber Resilience: How to protect small firms in the digital economy. It found that two-thirds of FSB members had been a victim of cyber crime, with an average cost of £3,000. 01 | What is a VPN? You can read the whole article for a complete overview of VPNs for small businesses. Alternatively, you can skip to the section that’s most relevant to you. Or, if you’re ready to compare quotes for IT support now, just head to the top of the page and fill out the form. A VPN is a way of connecting to the internet privately. It works by downloading software to run the network – this is referred to as VPN clients. While this may be run on a desktop computer, it’s also possible to connect to VPNs on mobile devices, often through a VPN app. There are different VPNs available depending on which operating system you use, such as Android or iOS. Mostly, VPNs are used to access streaming services overseas, as well as to securely connect to the internet and protect your online identity. It does this by offering a private network to access the internet and share files. Commonly referred to as a VPN tunnel, this protects your connection from external influences (such as hackers) and acts as an intermediary between your device, your internet service provider (ISP) and the internet. IP leak – sometimes, the VPN connection drops out or is interrupted, making your real IP address (the unique code that identifies your internet connection) viewable. This is known as an IP leak. Killswitch – if your VPN connection fails and the service includes this function, you can use the killswitch feature to stop the internet connection and hide your IP address. The key reasons that your business may use a VPN are likely to focus on privacy and security. For example, if you’re a freelance copywriter, graphic designer or web developer and you work remotely, chances are you may spend some time working in a coffee shop or somewhere else with public WiFi. You could use a VPN to help protect your files and devices from hackers or other malicious attacks. Similarly, if your business requires you to travel a lot and you check your work email, files or other related activity via a public connection – such as in an airport or train station – a VPN could offer you the privacy and security to do this with additional peace of mind. Alternatively, if your business operates with a virtual team, you could use a VPN to share files and download content through the same private connection, meaning the security of your business’ documents isn’t dependent on your team members devices and internet connections. A VPN isn’t a replacement for anti-virus and firewall software. Therefore, it’s still necessary to have the relevant software installed on your devices to protect them and help you browse safely. VPNs require an internet connection to work. While they offer privacy, VPNs aren’t the actual ISP, so you’ll still need to have an internet connection to use them. If you search for VPNs online, you’re likely to get hundreds of results. So how do you go about finding the best VPN for your business? We’ll break it down for you and offer advice on the key factors to take into consideration when selecting a service. The main question you should ask is what will you be using a VPN for? This should be at the forefront of your decision-making process. Next, consider what type of device do you use? If your primary way of using the VPN will be through your wireless devices, using a mobile VPN, such as a VPN app, is likely to be your best bet. Plus, as some VPNs can slow down your internet connection, using one specifically designed for wireless devices could help to improve this. Customer support – it’s likely you’ll need help with the service from time to time, especially in the early days when you’re still getting to grips with how the VPN works and integrating it into your business’ daily operations. Consider what customer support is available, as well as what format it takes, such as live chat or email. Similarly, knowing where your provider’s customer service reps are located (the timezone in particular) can give you an indication of when support will be available and how long response times may be. Review what assistance is provided – is it general advice only, or is more specific technical troubleshooting available too? Location – not only will the location of the VPN affect when the customer service team will be working, it also means that where the servers are located (note that these may be in different places) will ensure the provider will have to comply with that country’s privacy laws and level of protection. It’s also important to think about how many servers the VPN provider offers too – the higher the number of servers, the more likely you’ll experience quicker speeds. Connection – If your device has to connect to a server that’s located over the other side of the world, there may be some delays, so think about if a quick connection speed is a priority for your business. Cost – there’s more to this than just the price of the service. While this is a significant aspect of how much you can afford, also think about how payment is collected – what are the subscription offerings like? Check if the service is paid for on a monthly or annual basis, as well as which levels of service are available, such as basic, standard and advanced packages. While VPNs are available globally, most providers charge in US dollars so be sure to check the conversions into pounds. If you’re ready to compare quotes for IT support now, just head to the top of the page and fill out the form. Trial periods – some providers offer a free trial period in which you can test out the VPN and see if it’s the right service for your start-up. Review if this is an option, and if so, for how long. Consequently, it’s worthwhile having a look at the refund policy (if any) so you know what to expect should a service not meet your business’ requirements. Simultaneous connections – this refers to how many devices can use the VPN at the same time. While some providers only allow one device, three simultaneous connections are standard. Increasingly, some providers offer up to six and there are some unlimited connections available too. How many you’ll need will depend on your business, including how many team members you have and if you all work the same set hours or not. Ease of use – if it’s the first time you’ve used a VPN, you’ll want an interface that’s easy to navigate. A beginner-friendly set-up process and minimal previous knowledge required to use it are things to look for too. Privacy – it’s wise to understand what data the VPN provider can access and what they can do with it. One area to check is what type of logs the provider keeps – some only keep connection logs (which detail exactly that – when you connect to the VPN) while others record activity too (what you do online). Note that since the General Data Protection Regulation (GDPR) came into effect on 25 May 2018 in the European Union (EU), VPN providers that operate in Europe have to comply with the new laws surrounding data and users’ consent. For more information about it, read our article on what is GDPR and why is it good for business. Compatibility – you’ll need a VPN that works with the operating system your business uses, such as Android or iOS. Be sure to check which systems each service can – and can’t – operate on to pick the provider that’s best for your company’s needs. Security – as using a VPN to ensure a secure connection wherever you are is likely to be a focus for many start-ups, take some time to review the security measures each provider has in place. For example, look at how your online identity is protected when using the service, such as whether data is sent and received via an encrypted connection. Additionally, you should also take into consideration your business’ internet speeds. This is because using a VPN can decrease internet speeds somewhat (consider the time taken to connect to the VPN server and where it’s located, as well as encrypting and decrypting data) so be sure to check your business broadband speed. 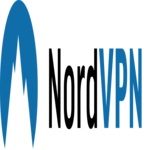 In this section, we profile some of the top VPN providers available on the market. Which VPN provider you go for will ultimately depend on your business’ needs. However, here’s a quick guide to highlight some of the best VPNs available. ExpressVPN is based in the British Virgin Islands, and offers VPN connections in 148 cities across 94 countries. There are three plans to choose from – you can sign up for the service for one, six or 12 months, with fees charged on a monthly basis. It also offers a range of VPN clients available specifically for desktop, laptops, smartphones and other mobile devices. NordVPN is based in Panama, with a global network of 4,924 servers that span 62 countries. There are three pricing options: plans that last for one or six months, or one year, all of which are charged on a monthly basis. It also offers a number of VPN apps, such as for Android, iOS and Windows. Plus, NordVPN offer specific services for businesses and not-for-profit organisations too. Based in Switzerland, VyprVPN has over 1m users. You can choose from a basic or premium package on either a monthly or annually basis. Plus, if your business grows and so your VPN requirements change, they also offer two dedicated business VPN services: VyprVPN for Business and VyprVPN for Business Cloud. It offers more than 700 servers situated in more than 70 countries and more than 200,000 global IP addresses. VyprVPN also uses an infrastructure that it owns, so data is kept internally, meaning stronger security. In the list above, we’ve focused on paid-for VPNs. This is because free VPNs tend to offer limited speeds and less bandwidth, as well as the potential for privacy and security concerns. To help you choose the best VPN for your business, you could consider using a paid-for service that has a free trial period. While these differ between providers, essentially they offer you the opportunity to use the VPN for a set period of time (such as seven or 30 days) for free, giving you time to test out its features and functions before making a decision. 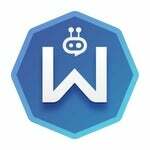 One of the best free VPNs is Windscribe, a Canadian provider that offers a comprehensive free service, as well as the option to upgrade and choose from three paid-for services. Windscribe also offer an incentive scheme which offers free data (5GB for tweeting about the service and 1GB for referring a friend to it). Click here to get Windscribe today! From reading this article, you’ve learned more about what VPNs are and how they can used in your small business. Additionally, we’ve provided the key details and features that you need to look out for in order to choose the best VPN for your start-up. Plus, we’ve offered a selection of the top VPN providers. So where do you go from here? The next step is to put the research into action and consider which VPN is most suited to your business. Startups.co.uk can help with this – simply complete the form at the top of the page to compare quotes for IT support.